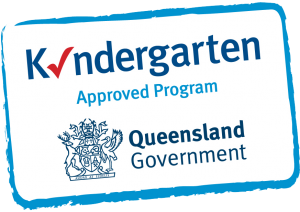 We’d love to welcome you and your child to My School Child Care & Kindergarten Mt Cotton. If you would like to register your interest in a place at our brand new Mount Cotton Centre, please fill out the form below. We will then be in touch to discuss your needs. Please note that filling in this form does not guarantee a place. 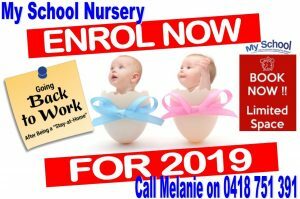 Please drop in for a look once we open, we are opening on Monday 8th April 2019, with viewing in March, please call Melanie on 0418 751 391 for more information. 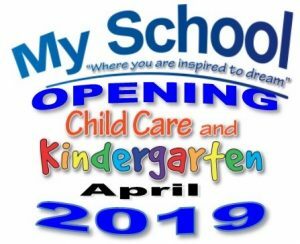 We have received HUGE interest in our brand new My School at My Cotton, so please register your interest as soon as you can as spots are filling fast. 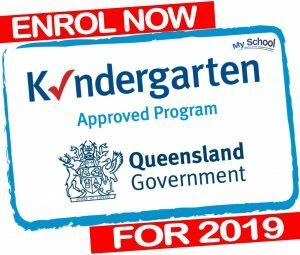 We enrol children on a first in first served basis, once enrolment forms are complete. If you need the bus, what is your address, to check if you are in our pick-up area? If for example Centrelink advises you that you are entitled to 85% CCS, then your daily gap fee could be approximately $19.06 per day. (Please note this is also dependent on your ‘eligible hours’). If you are not entitled to any Centrelink benefit, then the full daily fee would be $99.00. Please don’t hesitate to call Melanie on 0418 751 391 at any time if we can provide any further information or help.